Professional entertainment for adults and children. 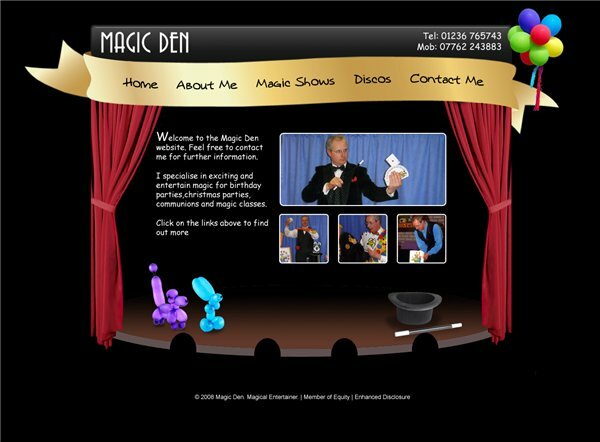 Magic shows,games and balloon modelling, also discos for any occasion. Can perform anywhere from in your own home up to the largest stage for holiday camps etc.